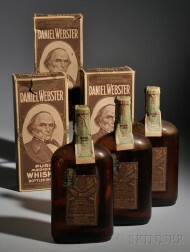 Save your search - find out immediately when "Daniel Webster" is available at auction! Webster, Daniel (1782-1852) The Last Days of Webster at Marshfield. 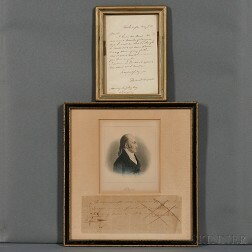 Webster, Daniel (1782-1852) Check, Twice Signed, Boston, 9 March 1835. 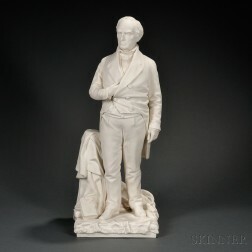 Whitney Cushing (American, 20th Century) Daniel Webster /A Portrait. 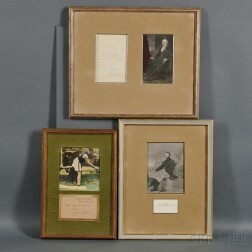 Signatures, Portraits: Jim Thorpe, Ulysses S. Grant, and Daniel Webster. Webster, Daniel (1782-1852) Letter Signed, 28 June 1838. 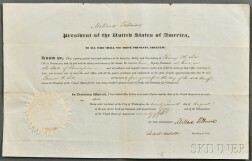 Tyler, John (1790-1862) Signed Document. 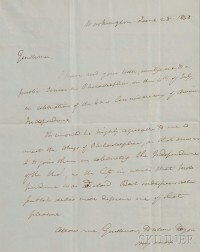 Webster, Daniel (1782-1852) Autograph Letter Signed, 24 April 1845. Frederick R. Spencer (New York, 1806-1875) Portrait of Maria Louisa Brownell, Second Wife of Gordon Webster Burnham.